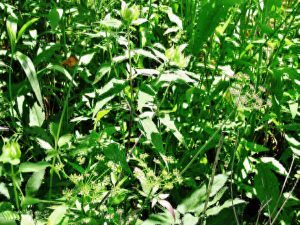 Wild Parsnip (Pastinaca sativa) can sneak in unobtrusively as it has here mixed in with Common Milkweed (Asclepias syriaca). But it also clones itself readily and you can see miles and miles of continuous ditches filled with this dangerous plant. A native of Europe and Asia, Wild Parsnip (Pastinaca sativa) is blooming right now. Please be careful not to touch any part of it. If the toxic sap of the plant tissue touches your skin in the sunshine, you may be subject to a blistering rash equal to a third degree burn. This is called phytophotodermatitis and is terribly painful…and the scaring isn’t pretty either! 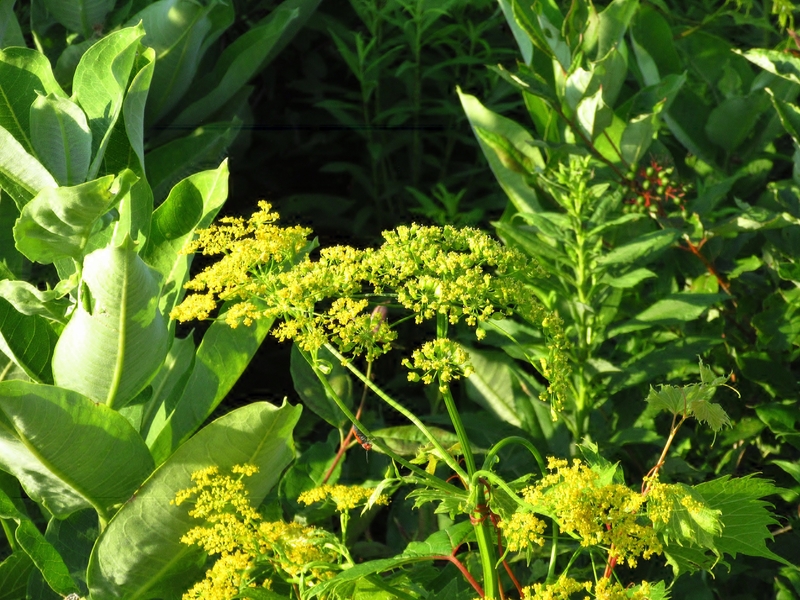 You’ll find Wild Parsnip growing in disturbed areas and in ditches. It likes to sneak in along the mowed edges of prairies and gardens and is not particular about soil conditions. 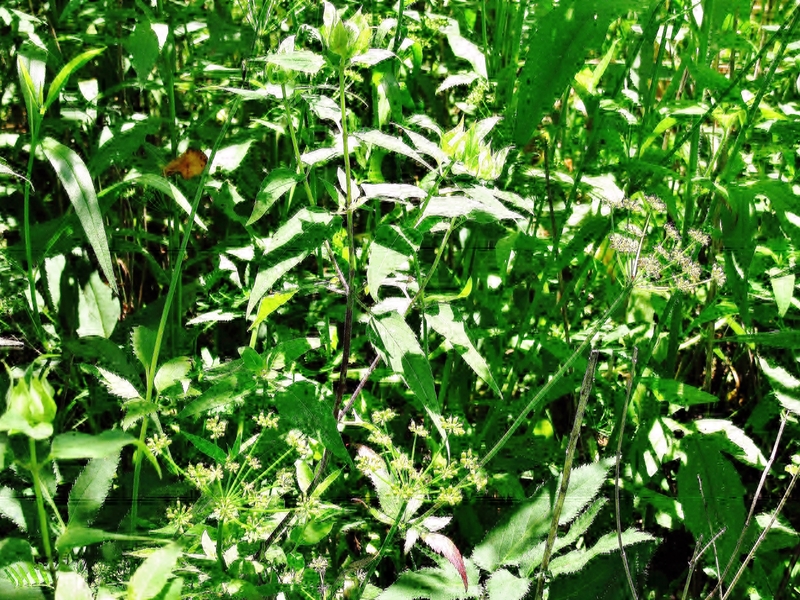 Many people mistake the native plant Golden Alexander (Zizia aurea) which blooms May through June with Wild Parsnip because the blossom looks so similar. But, this time of the year, Golden Alexander is already forming seed heads, and it is not toxic.